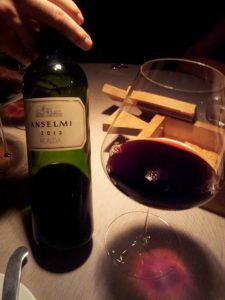 ANSELMI wines are more like a cult movement in Italy and now also in International markets beyond. 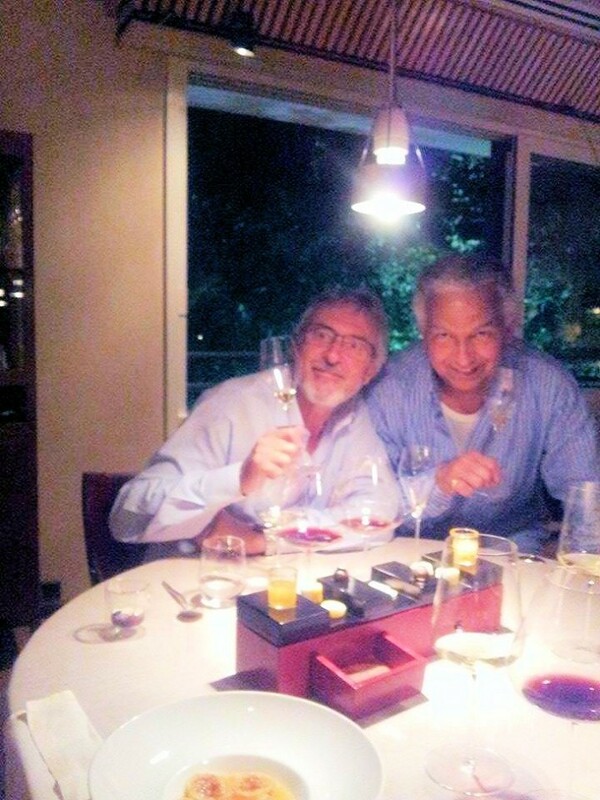 Roberto Anselmi is known as the original rebel who redefined the image of Italian white wines. As a result, his wines are so exquisite, that they can be found on the menus of just about every Michelin Star restaurant in Italy, right up to the 3 star Gods of Italian cuisine. Most carrying multiple vintages, which we were lucky enough to experience for ourselves with the charismatic winemaker and his lovely daughter Lisa at the fabulous 2 Michelin star ‘La Peca’ Restaurant outside Vicenza. There. we had a very memorable life moment tasting his 1983 REALDA Cabernet Sauvignon – a 33 year old doing a great impersonation of a fine old French Burgundy after a masterful resuscitation by a world class Sommelier, after such a long time at rest in the bottle. With only 7,000 bottles of his Cabernet Sauvignon produced each year, the rarity of finding and getting to taste such an aged example was not lost on us. This was an honor and a privilege few get to enjoy and it is an experience we will never forget. In fact there is only one red wine in the stable. The ANSELMI white wines are what Roberto Anselmi is really famous for having deliberately divorced from the Soave DOC back in 2000. Frustrated by the lack of quality and ambition amongst fellow winemakers in the rolling hills of the Soave region, east of Verona, Roberto made the controversial decision to cut ties with the local Consorzio and take the hallowed Soave name off his wines, instead labelling them under Anselmi’s own vineyards and Veneto IGT. Roberto had approached the Soave Consorzio to negotiate a reduction in the permissible yields in an attempt to increase region-wide quality. After years of painstaking meetings and communications, the day of reckoning arrived in the form of a letter, the contents of which threw Roberto into a fit of rage and caused him to burn all existing Anselmi labels featuring the name Soave. The Consorzio, mainly influenced by the industrial-sized co-operatives, had agreed to a reduction in yields, but only by around 1-2%, a negligible margin. And the risk has paid off. Widely considered one of Italy’s best white wine producers and ‘the conscience of Soave’, he’s redefined the image of the region’s wines on the world stage. ANSELMI white wines age for 15 years, are from the volcanic soils on the best south facing hills of the Soave region, harvested by hand on CRU vineyards of just a few hectares, with the highest quality standards and very limited production. As it happens, 2000 wasn’t the first time Roberto had rebelled against authority. Back in the 1970s, fresh out of university and having had a taste of some the world’s finest wine regions in his post-study travels, he quickly became frustrated working in his family winery. “My grandfather had been an excellent vine grower between the 1920s and 1945, but with the economic crisis linked to the World War he was forced to sell off all his vineyards and my father, who had continued working in the wine sector, had created a large winery for the bottling and sale of wine that he bought in, but without having his own land or vineyards,” explains Roberto. But his ambitions found him knocking heads with his father, and Roberto eventually grasped full control of the business, and Marino went into retirement, though remained living on the property. Opting out of the Soave DOCG gave Roberto the freedom to grow the grapes he liked, and in whatever way he wanted. Instead of the shaded canopies of old-fashioned pergola-trained vines most commonly found on surrounding properties, guyot-trained vines let in plenty of sunshine for more concentrated fruit, and his limit of three small bunches per vine guarantees density of flavour and ripeness, while maintaining good acidity. 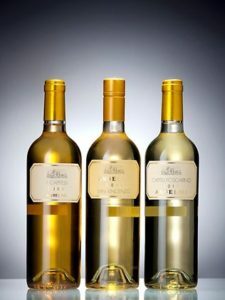 Freed from the constraints of the Consorzio that require 70 percent Garganega in all wines labelled Soave Classico and currently allow only two other grapes, Chardonnay and Trebbiano di Soave, Roberto also planted Sauvignon Blanc and Traminer, and uses the former in his San Vincenzo. The winery is similarly advanced, with gleaming stainless steel vats and French oak barriques (Anselmi was probably the first in Italy to utilise French oak to ferment and mature its white wines). Vinification is precise in every detail, with cold maceration, fermentation at low temperatures and a long ageing period. Roberto has always been an early adopter of wine technology – collaborating on research into alternative wine closures and ongoing experimentation into new methods to reduce the presence of sulphites in wine. Frustrated by cork taint, Roberto moved his San Vincenzo wine into screwcaps a few years ago – a brave move in a traditional wine country. He took this limited-production approach to the next level when he became one of the few producers in the Soave Classico zone to develop ‘cru’ or single-vineyard wines. Capitel Foscarino (10 hectares) and Capitel Croce (five hectares) derive their names from ancient shrines (in the Veronese dialect) which populated the areas when the vineyards were replanted. The tour inside the winery and the cellar was as theatrical. It is more tranquil and ethereal than any Church or Cathedral we’ve ever been in. Large beautifully candlelit rooms, framed by stained glass effect walls made from wine bottles and bespoke commissioned sculptures of the Garganega grape, house the French Oak barrels of precious liquid awaiting re-birth as the next vintage of ANSELMI wines. It is no wonder that the Anselmi business is so highly regarded – the wines, the location, the people. Roberto Anselmi’s rebellious nature is perhaps also evident in his personal life, not least in that he flies his own helicopter, had a Porsche made to his personal specifications and has a passion for fast motorbikes. complex on the nose with apple, almonds, citrus, melon and zesty tropical fruit. Dry but with intense fruit, medium bodied with fresh acidity. The San Vincenzo 2015 delivers a long lingering finish from the Chardonnay. The CAPITEL CROCE 2014 is 100% Garganega, aged for 8 months in French Oak and 9 months in the bottle. Fresh, fruit forward aroma guided by hints of peach, vanilla, honey and spring flowers. Dry, complex, beautifully balanced and structured, fat with rich, creamy fruit flavours; the use of French oak adds a subtle and agreeable spiciness to this very accomplished wine, which ages for 15 years. We are currently in the planning stages of bringing this iconic, cult Italian winemaker to Belfast in 2017 to meet the many fans we know his wines will very soon have here in Northern Ireland. Watch this space for further details. 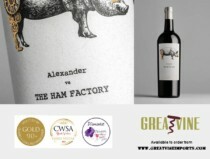 To enquire about purchasing ANSELMI wines, email here for details.